In my day job at LinuxGizmos, I’ve been neck deep recently in embedded Linux hardware news from the Embedded World show in Nuremberg. There are plenty of new SBCs and compute modules — many based on NXP’s newly shipping i.MX8M Mini — as well as a new Qualcomm Robotics RB3 Platform, more IoT gateways, and Linux-ready chips like ST’s STM32MP1 and Octavo SiP version of the SoC. Yet, Embedded World has produced some embedded Linux software news, as well. Here we take a brief look at some highlights, including Google open sourcing its Cloud IoT Device SDK, the Linux Foundation launching an ELISA project for open source safety-critical systems, and a new long-term kernel from the Civil Infrastructure Platform project. In other news, Siemens has spun a Debian-based binary version of Mentor Embedded Linux (MEL), and AMD and Advantech are collaborating with Mentor to develop a machine-learning savvy implementation of MEL. Finally, Wind River announced a “Helix Platform” that combines Wind River Linux and VxWorks, and MontaVista has launched MontaVista Carrier Grade eXpress 2.6. Google has released a Cloud IoT Device SDK under open source license designed to connect microcontroller devices and IoT-oriented Linux gizmos to its Google Cloud IoT platform. The SDK can be considered a lower-end, MCU endpoint-oriented counterpart to its Linux-focused Cloud IoT Edge stack for IoT gateways that integrate Google’s AI-accelerating Cloud TPU chips. The Cloud IoT Device SDK comprises client libraries written in Embedded C to “enable developers to securely connect, provision, and manage devices with Cloud IoT Core,” says Google. Target devices range from handhelds to low-end smart home devices. 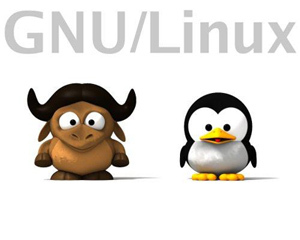 OS support includes Zephyr, Mbed OS, FreeRTOS, and POSIX-compliant platforms like Linux. Early partners include Arm, Cypress, Nordic, Espressif, Microchip, and NXP. The open source release presents an alternative strategy to Google’s proprietary, higher-end Android Things IoT platform. Google recently announced that Android Things would be limited to OEM partners developing smart speakers and displays with Google Assistant. The Linux Foundation, which this week welcomed 34 new members including HP, also announced a project called Enabling Linux in Safety Applications (ELISA) to develop open source tools and processes that help companies build and certify Linux-based safety-critical applications and systems. Targeted applications include robotics, medical, smart factories, transportation, and autonomous cars. ELISA is building on work done by the SIL2LinuxMP project from the Open Source Automation Development Lab (OSADL), as well as the Linux Foundation’s Real-Time Linux project. Founding ELISA members include Arm, BMW Car IT GmbH, Linutronix, and Toyota, which is a leading member of the LF’s Automotive Grade Linux project. The roster also includes new LF member and robotics manufacturer KUKA. ELISA project goals include working with certification authorities and standardization bodies “to establish how Linux can be used as a component in safety-critical systems.” The project will develop safety-related reference documentation and use cases, educate and collaborate with the open source community, provide members with incident and hazard monitoring of critical components, and encourage best practices. ELISA is related to the LF’s Civil Infrastructure Platform (CIP) project, which this week announced the release of its promised Super Long Term Support (SLTS) Linux Kernel with 64-bit Arm support. The key enhancement of the SLTS kernel is its unprecedented 10-year plus support. The kernel is also designed for the higher safety, security, and reliability requirements of large infrastructure and industrial applications. The CIP project also announced two new working groups. The first is a Software Update Working Group led by Toshiba. The second is a Security Working Group led by Renesas, whose new RZ-G2SoCs are the first to support the SLTS. Like Wind River Linux and MontaVista, Mentor Graphics’ Mentor Embedded Linux (MEL) has been one of the leading commercial embedded Linux distros. It is also similarly based on Yocto Project code. Now, almost two years after Siemens acquired Mentor, Siemens PLM Software has announced a new version of MEL that ditches the Yocto foundation for Debian. The distro, which melds MEL with an inhouse Debian stack designed for Siemens automation equipment, is available as an “enterprise-class” binary. Siemens partner Xilinx is also sold on the binary approach: “By combining the capabilities of an embedded Linux distribution with those from the Debian binary desktop Linux distribution, today’s developers — many of whom have honed their skills in the Linux desktop development — can easily extend those same skills into fully featured embedded systems,” stated Simon George, director of system software and SoC Solution Marketing, Xilinx. The new Linux solution provides a stable kernel, a robust toolchain, broad community support, secure field updates, and application isolation, says Siemens. It offers up-to-date cloud support and familiar MEL features such as Sourcery Analyzer tools. Improved multi-core support enables heterogeneous systems that also run Mentor’s Nucleus RTOS. In other MEL news, AMD, Advantech, and Mentor announced a customized version of MEL that runs on Advantech’s SOM-5871 compute module based on AMD’s Ryzen Embedded V1000 SoC. The solution will “make it easier for customers to implement machine vision applications within their IoT or edge compute ecosystem, helping to improve efficiency and accuracy of machine vision solutions,” says AMD. The chipmaker hints that the platform will align with the LF’s EdgeX Foundry project for edge computing. Wind River, which is no longer owned by Intel, has unveiled a Wind River Helix Virtualization Platform, an umbrella framework that integrates both Wind River Linux and the company’s VxWorks RTOS. The Helix Platform provides an integrated edge compute platform for applications ranging from industrial infrastructure to autonomous driving. Helix Platform uses Wind River Hypervisor to enable time and space partitioning that leverages RTOS and virtualization technology, safety functionality, and COTS certification. Linux, VxWorks, and even third-party OSes such as Windows and Android can coexist together on multi-processor and multi-core systems, all orchestrated by the common Helix Cloud platform. Finally, MontaVista has announced version 2.6 of its MontaVista Carrier Grade eXpress (CGX), the 12th generation of its Carrier Grade Linux certified distribution. Like Wind River Linux and the original MEL, CGX is a commercial embedded distro based on Yocto Project code and aimed at industrial and networking customers. Due for release in mid-2019 with BSPs for x86 and ARMv8, MontaVista CGX 2.6 is based on Yocto 2.6, Linux kernel 4.19, and GCC 8.2 toolchain. Highlights include improved security features such as OpenSSL FIPS, OPTEE/Trustzone, Secure Boot, and SWUpdate. CGX 2.6 provides protocol support for BLE, 4G/LTE, Zigbee, LoRA, CANbus, Modbus, and Profibus. Cloud support has been updated with APIs for the latest Amazon AWS IoT, Microsoft Azure IoT, Google Cloud IoT, and ARM mBed Client. Naturally, Kubernetes is also supported. MontaVista was instrumental in the early development of embedded Linux, was owned by networking chip maker Cavium for several years before being spun back out as an independent company when Marvell acquired Cavium. Like its old rival Wind River, MontaVista is once again unhitched and ready for action.